The 2013 Maxima is the flagship of Nissan's sedan lineup, featuring a powerful engine and a chassis that favors sporty driving yet still offers highway comfort. 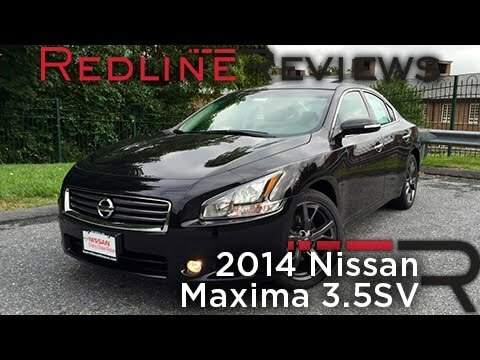 The Maxima stands up well to rivals, but with the introduction of the excellent new Altima, it risks being overshadowed by higher-trim versions of its lower-priced, fresher sibling. It is very powerful for a v6 with a 3. 5l engine. Very reliable it does not burn any oil between 7k miles oil changes. Its roomy and it a sport luxury vehicle. Quick take off and very good handling at high speeds. Good on gas for a v6. Also has good traction in snow. Nice 18 to 20 inch rims with low profile tires. Nice surround music system. Drives like a charm even with five people at full capacity. Push to start. It also can detect if there is a passenger in front to shut passenger front airbag off. It also has dual exhaust system. Very roomy trunk space. It also has tire pressure monitoring system. I haven't had any problems with my car in the five years I have owned it. It is been very reliable! It is a very comfortable car for myself and think it’ll even be spacious enough when I have kids! Performance has been great, I do not have any complaints about the car. I bought the base model and do wish I would have purchased one with more upgrades, but other then that I am happy with my choice! This car is very fast. It goes from zero to 50 in about 5 seconds. My vehicle is ok. It has not been one of my favorite cars. It is the luxury sport model, but other than a spoiler it is not very sporty. I have had problems with my trunk lock/latch. It is high in performance in terms of speed and is overall has been reliable. It also has a lot of legroom which makes it very comfortable for my husband who is tall. One of the best features is the backup camera.